Like many South East Asian countries, dairy isn't a big thing in Burma. A number of factors are involved: little pastoral land, a historical lack of refrigeration, and a respect for cattle in agriculture - milk is considered to be for the calves; cows and bulls are part of a Burmese farmer's family. In fact, for a long time I never realised that, although scarce and extremely expensive, milk and butter *was* actually available for those in the know. Until 20 or so years ago, there were no supermarkets in Burma, and food was always bought daily - fresh from open-air markets so early in the morning I was usually still in bed. We even used to pack Lurpak in our suitcase for my grandparents in Mandalay - frozen and quadruple-wrapped in tin foil along with a tub of Brylcreem and a fruit cake and countless bars of Dairy Milk (my grandparents have since passed away, but we still take chocolate for the rest of the family every time we go home). One day though - this is 15 years ago now - as I was tinkering with a radio in my aunt's house in Yangon, the doorbell rang and my cousin ran to the door. She came back holding a large steel mug, the contents of which she emptied into a small saucepan and began to heat. "Who was that? What is that?" I asked. "The noh(t) galah. It's milk", she replied. "Noh(t) galah" literally means "milk Indian", and I found out afterwards from my mum that ever since she was little, the only dairy farmers in Burma were Indian, and so the genuine Burmese word for "milkman" was milk-Indian. "Why are you heating it? D'you like it warm?" "No, you plum. I'm boiling it to make it safe". "Oh". That was me told. Anyway, my cousin was fairly unusual in liking "real" milk in her coffee. Most of the rest of the Burmese world preferred those 3-in-1 packet mixes with coffee, creamer, sugar combined, though sometimes they'd add a dollop of condensed milk for good luck (known as noh(t)-zee). My dad remembers seeing a huge condensed milk factory in Maymyo, just beyond Mandalay - condensed milk was also used in Burma to make ice cream and Indian sweets and puddings, and at least one of my other cousins was known to squeeze it neat into her mouth - sometimes it came in tubes. 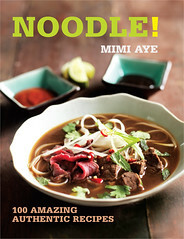 Such was the desire for condensed milk, it even cropped up in savoury recipes - for example in ohn-no khao swe noodles, partly in the wrong-headed belief that it was somehow much healthier than coconut milk. Condensed milk also appears in this recipe below for Burmese creamed corn - and although I'm not sweet-toothed, I used to hoover this stuff up as a child. Use double cream instead if you really must, but it's worth trying the way it should be - pure comfort food. Finely slice one onion and then squeeze the slices with your hands so you get as much juice/liquid out as possible and discard this juice (I find if you can microwave the slices for a minute, this makes the job much easier). Fry the onion slices in a little groundnut or other plain oil for 15 minutes on a medium heat, and then 5 minutes on high so they brown and crisp up a little. This will make more fried onions than needed for this dish, but they make a good garnish generally - on noodles and salads for example. 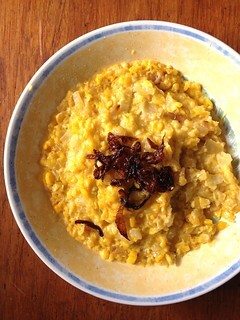 The two types of corn are necessary to get the right texture to resemble Burmese sweetcorn. Blitz the sweetcorn (including the liquid from the can) with a blender or mini-chopper till most of the kernels break down into a mush. Dice the other onion and fry the pieces in groundnut or other plain oil in a wok or frying pan for 10 minutes on a medium heat till they become translucent. Add the blitzed sweetcorn, the tapioca flour and the cream or condensed milk, mix thoroughly and fry for another 10 minutes. 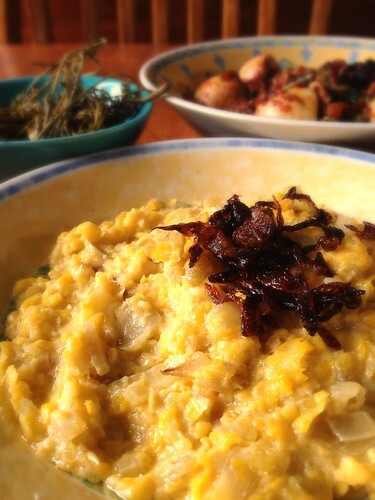 Top with the fried onions and serve warm as a side dish - as in the photo above, it makes a good accompaniment to Burmese egg curry and rice (recipe here) or even as a topping for toast. I always find your posts about Burma really interesting. 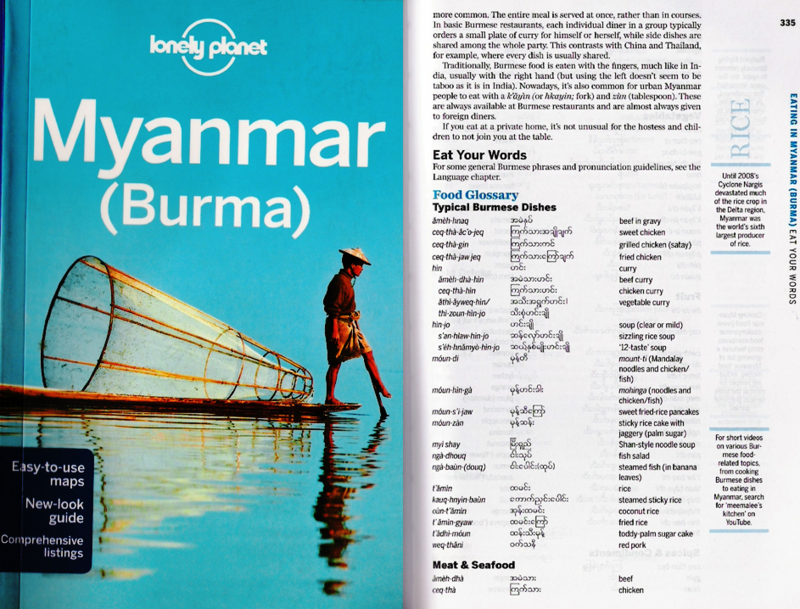 In fact, I think most of what I know about Burma I have learnt from your blog! I love reading your stories about food and family - I've been reading a lot about Burma for work and it's great to get a different insight! Ooh, what do you do? Do wish the powers that be in the worlds of journalism and publishing would wake up to the need to bring what you have to tell us to a wider audience. Not just the knowledge but the way you make it so engaging to read. Bah humbug. I remember when I visited India as a youngster, only in the earlier visits, a milkman would arrive, I think maybe on a bike but maybe it was walking a cart or a donkey... anyway, what I remember clearly is the large metal urns of milk he had. Mum tells me when she was a kid, that was the normal way milk was delivered and sometimes it was still warm from the cow! I imagine there are still some old-fashioned milk-wallahs around but I haven't seen one for a long time. Then later, when I was a teen and went on a college-arranged trip across East Europe, we partied in a camp site in Transylvania, and in the morning, most of us hung over, we met a man selling milk, warm and fresh, from an urn. But I do not like warm milk. I do, however, adore sweetcorn and condensed milk. Pete bought me the squeezy bottle for mine, and now empties cans to refill it for me regularly, and I take it into work to have in my coffee a couple of times a day. Not good for my waist line (I only just have a waist left, I think) but so tasty! How would this works with fresh sweet corn, off the cob? Hi there, you could use fresh instead (I'd fry the kernels for an extra five minutes), but the texture wouldn't be quite the same, as fresh sweetcorn in this country is quite watery and crisp. Frozen or canned kernels are denser and "stickier" and more like fresh sweetcorn in Burma which is why I use them.